So the girls' dresses are red, and I was obviously thinking red bouquets. But now that sounds far too matchy-matchy to me, and like they'd blend in horribly. The wedding isn't until Sept, so I've got pleeennnnty of time. Other accent colors will be very light yellow, green, some brown (think apples, harvest, early fall colors). So many of the yellow bouquets I see are SO YELLOW. I love yellow, but I don't want this to be bold overload. Do you guys have any thoughts? What should I ask/tell a florist when talking to them to get my vision across? 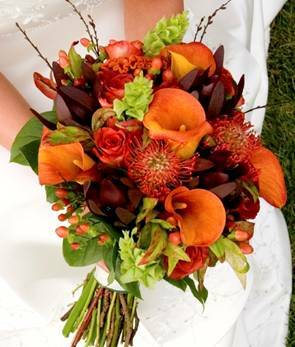 I would tell the florist that your colors are yellow, green and red and that you are going for an early fall overall look for your wedding. I would definitely mix all your colors into your bouquet. 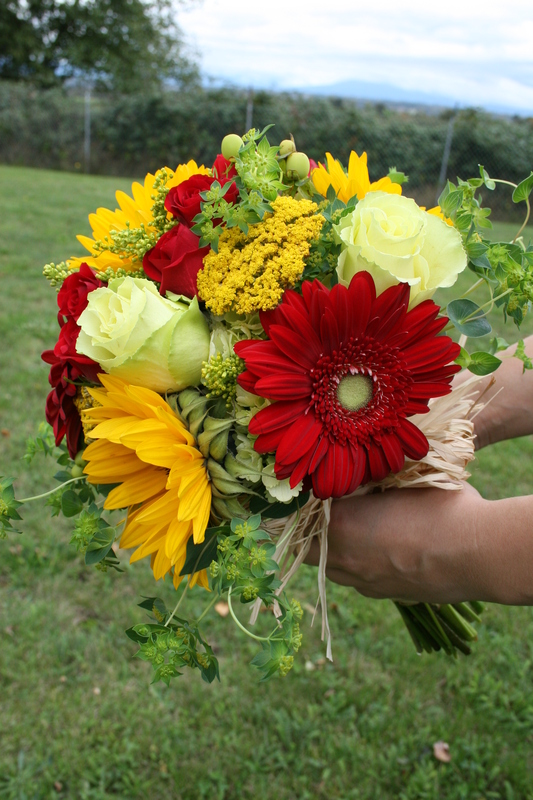 The bouquet does not just have to be on color. And having an all red bouquet next to a red dress will definitely be lost in pictures. How about white for the girls' bouquets and red for yours? I agree that you should tell your florists your colors and vision. Most florists will pitch ideas and help you nail down colors or specific flowers you want to use. I went to a wedding in October with the same color scheme as yours. 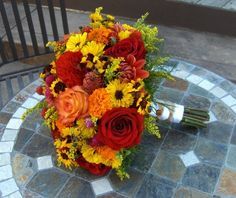 The girls all wore red and their flowers were a mix of fall colors, red and yellow and orange. 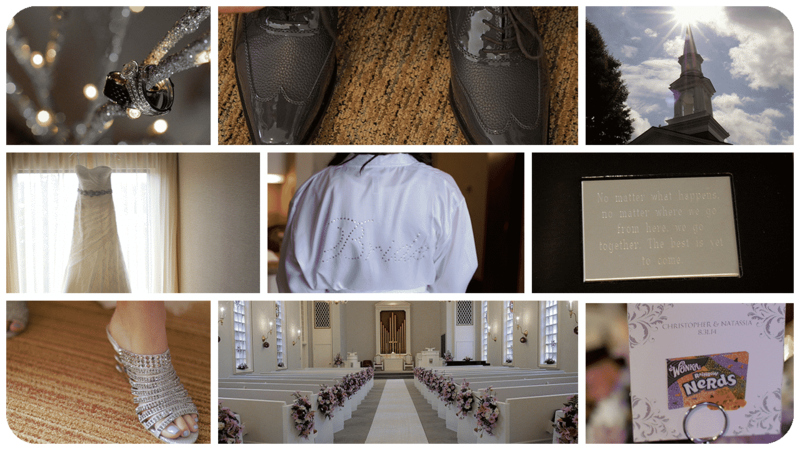 It was really pretty and didn't look to matchy matchy with the bridesmaid dresses. I would definitely see what ideas the florist has though- they will surprise you! Your florist will know what is best. I agree with the other posters. Don't worry it will work out and be beautiful! ETA: Thanks especially for those pictures - they're lovely!! !